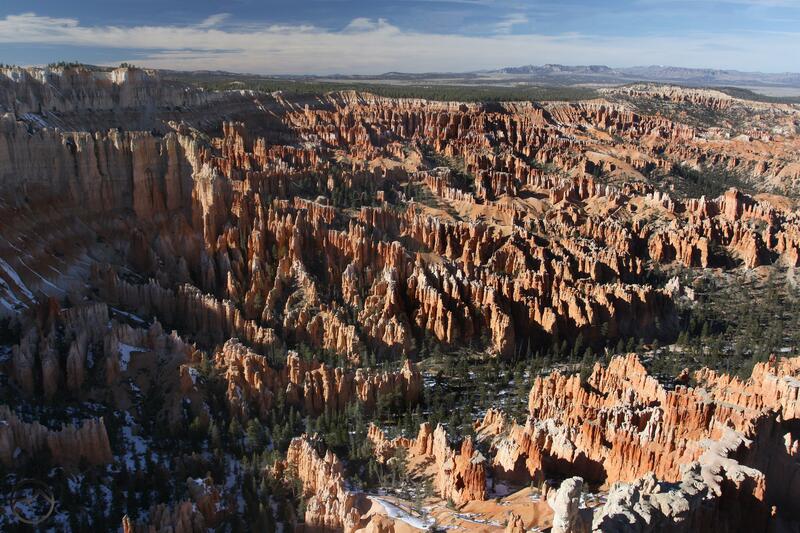 Nowhere in the world are there more or finer hoodoos than Bryce Canyon in Utah. Bizarrely twisted and thrusting prominently upward, hoodoos are among the most fascinating features found in the western United States. While these curious formations occur throughout the world, the West has an extremely high and diverse concentration of them. They are found across the High Plains, from North Dakota (from Canada, actually) all the way down to the Llano Estacado in Texas. They also appear frequently higher in the mountains, especially in the southern Rocky Mountains. The diversity of hoodoos around the west is astounding. Their varied compositions include sedimentary layers, sandstone, limestone and volcanic materials like rhyolite and tuff. 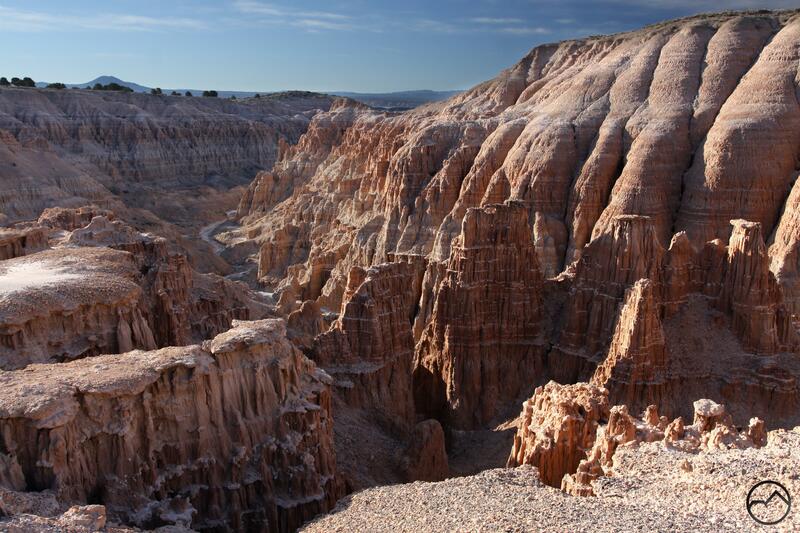 The disparate formations means that hoodoos yield a remarkable visual feast to enjoy. What exactly is a hoodoo? These unusual natural structures are rocky towers, typically consisting of various strata composed of softer materials capped by a harder rock. This arrangement sometimes makes hoodoos look like balanced rocks. Other times the hoodoos appear as slender, striated and weathered pinnacles. The forces that shape these strange pillars usually involve a combination of wind erosion, rain erosion and the freezing expansion of water. The softer materials that compose many hoodoos expedite the erosion of the area beneath the dense cap stone. The resulting towers are among some of the most unusual, spectacular and beautiful landscapes. Western North America has an unusually high occurrence of hoodoos, some of which are iconic sites. Though by no means the sole factor, the west’s defining trait of aridity is certainly one of the reasons for this. The most magnificent and famous is Bryce Canyon National Park in Utah. More hoodoos occur here than anywhere else in the world. The vast array of orange and pink pillars is as awesome as it is unforgettable. 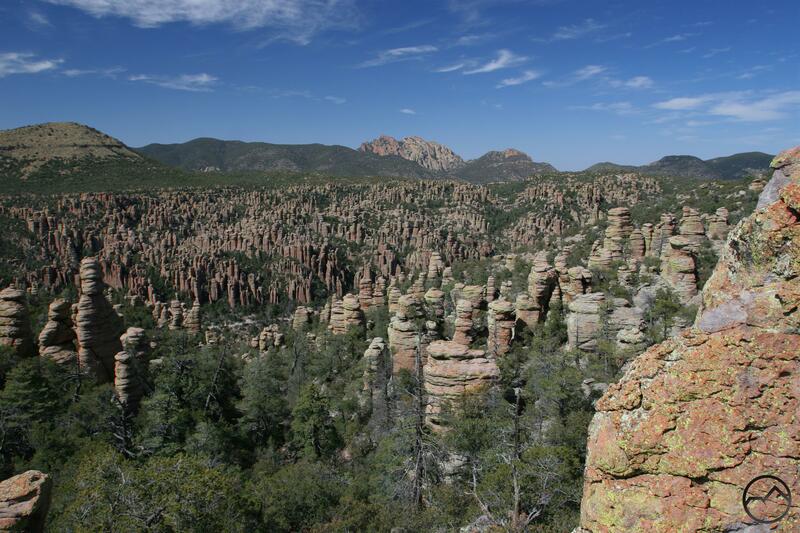 Less well known but nearly as impressive are the rhyolite hoodoos of the Chiricahua Mountains in Arizona. Despite the perception that they are oppressively flat, the High Plains have an extensive collection of hoodoos stretching from Alberta all the way down to Texas. Areas where badlands are prominent also tend to have numerous hoodoos. The erosion of the poor soils that make up badlands is a natural environment for hoodoo formation. Volcanic areas, where layers of ash have been built up and then covered by denser rocks, also boast numerous odd hoodoos. 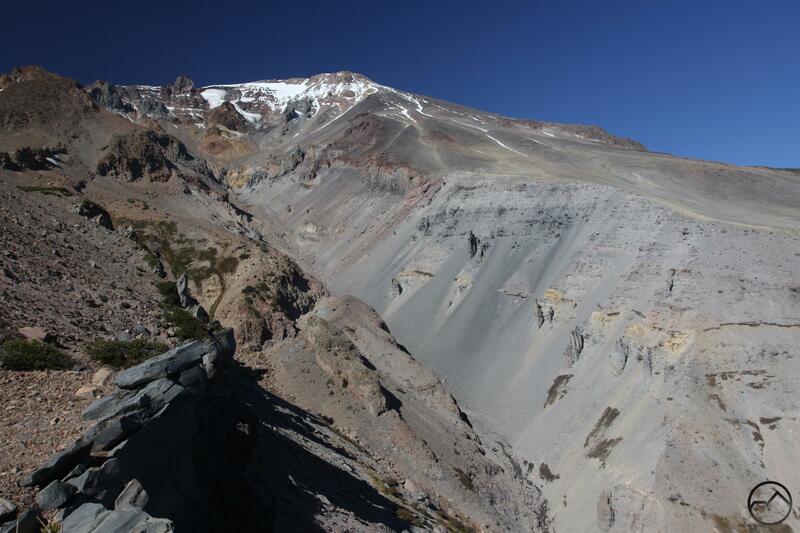 All of this leads to the compelling presence of hoodoos on Mount Shasta. While there are a few small occurrences of these strange formations on the mountain, none are as awesome as the giant spires that thrust upward from the hellish scree fields of upper Mud Creek Canyon. Hidden away in a rarely observed corner of Mount Shasta, these hoodoos are unnamed, unloved, and completely unappreciated. Nonetheless, they are among the most impressive hoodoos to be found anywhere. Due to their remote location, access to them is limited. It is nearly impossible to actually reach the hoodoos due to the depth of the canyon and the loose decries that forms the canyon wall. The best place to observe these dramatic towers is from the west rim of the canyon. Even from this distance, the hoodoos are impressively large. Hoodoos line the side of Mud Creek Canyon. There are over a dozen large hoodoos that can be seen defiantly jutting upward out of the canyon wall. However, there are three particularly noteworthy hoodoos. The most impressive are a pair of soaring towers that must be over a couple hundred feet high. These are considerably higher than most hoodoos but considering the great depth of the canyon this seems like an accurate gauging of their dimensions. Both pinnacles are composed of compressed layers of ash and tuff (this is a guess, but seems logical based on Mount Shasta’s composition and the visual similarity to other volcanic hoodoos) capped by large boulders balanced on the top. 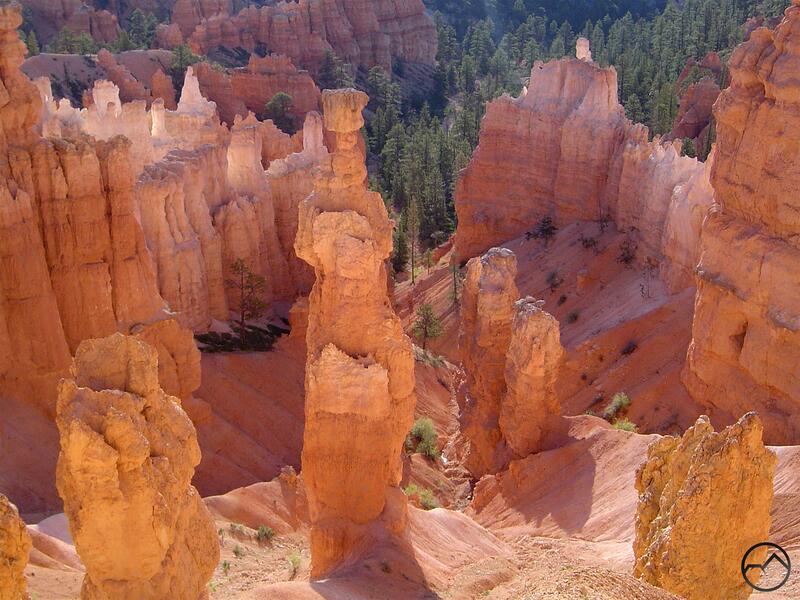 The first time I saw them, I was instantly reminded of Bryce Canyon’s most famous hoodoo, Thor’s Hammer. Based on this similarity, I dubbed them Thor’s Twins (the name obviously comes from the fictitious undersea landmarks off the coast of Iceland in The Hunt For Red October). The other particularly noteworthy hoodoo in Mud Creek Canyon is a cluster of nearly symmetrical towers located just below the lower hoodoo of Thor’s Twins. Though some of these hoodoos have balanced rocks on their summits, they are considerably smaller than the rocks on the twins. Nonetheless, the odd arrangement and immense size makes these unusual and beautiful hoodoos. In keeping with the Norse theme of Thor’s Twins, I dubbed this cluster of hoodoos the Valkyries. Mount Shasta has many hidden secrets and awesome places that are as anonymous as they are unappreciated. One never knows what new gem may be uncovered. This is one of the things that make exploring the mountain so exciting. With all of the glaciers, waterfalls, canyons, springs and numerous other features, it was thrilling (though it should not have been surprising given that it IS a volcano) to discover some massive hoodoos sequestered in one of the least traveled and most majestic parts of was very gratifying. I hope others are able to find their way to the rim of Mud Creek Canyon and observe the towering hoodoos. No, they *aren’t* completely unappreciated, because *you* appreciate them, and you also delivered them from anonymity by giving them a name, and a good one at that! I never really thought about it that way, but you are correct. I appreciate you pointing that out! Shasta’s hoodoos remind me of hoodoos at Crater Lake – likely very similar composition. I didn’t realize they were so common and so widespread in the West. I’m glad you pointed it out, and I’ll be paying more attention during future travels. They are indeed similar to formation found at Crater Lake. Not incidentally, in both cases you are looking into the ancient bowels of a volcano. No wonder it is so stark. Beautiful but stark. I love finding unique features like that on a mountain that you’d never notice before. 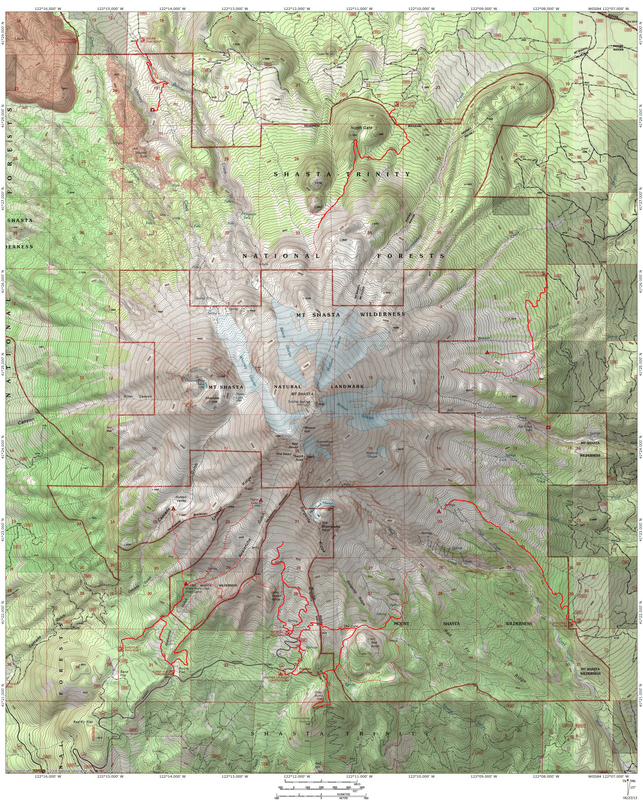 Mount Hood has some great spots too, if no hoodoos that I know of.